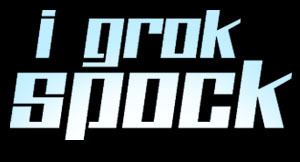 In his novel "Stranger in a Strange Land", Robert Heinlein created the Martian word "grok" which meant "to be one with". To grok something is to make it part of you, part of your identity. 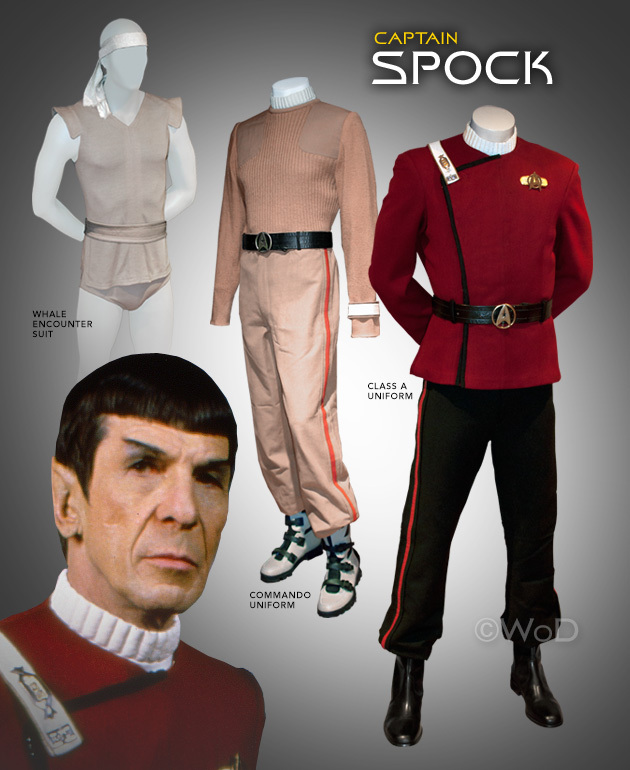 Oh yeah – I grok Spock. When I first watched Star Trek as a kid, I had never seen anything like it. Cool starships and strange new worlds, phaser blasts and a pointy eared alien. But not just any pointy eared alien. This one was something startling, something unheard of, something…cool! His name was Spock, and he was definitely different. Chicks dug him and guys wanted to be him! He was a freakin' green-blooded James Bond, the Steve McQueen of outer space! The Main Man, the Big Kahuna. Cool. So it's amazing to me, all these years later, to have pieces worn by the man himself in my collection. In "Star Trek II: The Wrath of Khan", Spock pays the ultimate price to save his ship and crew. His sacrifice becomes one of the most poignant moments in all of Star Trek. When Spock says good-bye to his best friend, Jim Kirk, he also says good- bye to us. And, like Kirk, we're heart-broken over losing our friend. (<sniff> I'm tearing up just thinking about it). My maroon uniform is the style he wore throughout the movie and the rest of the film series. In "Star Trek III: The Search For Spock", the character doesn't even appear until the end. But his presence is felt in every frame as the entire story is driven by the need of the crew to risk everything to find out what actually happened to their friend. Hey, the title says it all. "Star Trek IV: The Voyage Home" shows once again that Spock can be funny, as he and the crew navigate their way through 20th-century San Francisco. It was one of the most universally loved of all Trek films. My Spock maroon uniform is from this film as is his "whale mindmeld" suit and headband. "Star Trek V: The Final Frontier" simply blows, but it had a couple of cool things – rockin' new phasers and commando uniforms. I have one of Nimoy's uniforms, complete with Nimoy costume tags. In "Star Trek VI: The Undiscovered Country", Spock's attempts to make peace with the Klingons drive the story. He must race against the clock to rescue his friends Kirk and McCoy and save a fragile interplanetary alliance. It was a fitting wrap-up for the original crew's story and especially our favorite Vulcan. Again, my maroon uniform is the style he wore throughout that film. As with all things, their time has passed, but I will always love the entire crew of the original Starship Enterprise. And Spock, well… I don't just love him – I grok him. And I always will. I especially cherish his items in my collection. I hope you like them too.